The Tinklers are not your normal family. Their father is a tightrope walker, and their mother rides a white horse…in the travelling circus. 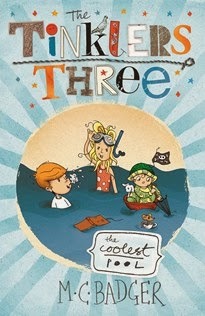 This leaves the Tinkler children, Mila age 10, Marcus age 8 and Turtle age 3 left at home…alone. For any adults reading thinking that this is not the responsible type of parenting we want portrayed in books for children, fear not...there is indeed a mature adult (Mrs....) who lives in the building and keeps a watchful (but distant) eyes on the three Tinklers. ‘ You MUST NOT keep BISCUITS in the BATH’. 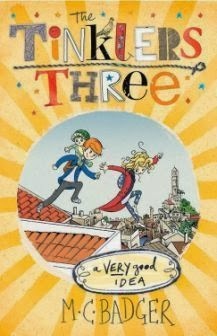 On this particular day the Tinklers decide that they would like to go from their house to the clock tower…without touching the ground, what unfolds is very funny and at times very clever, but you will have to read the book to see if they make it! This will be a great new series for newly independent reader who wants something a little bit different. 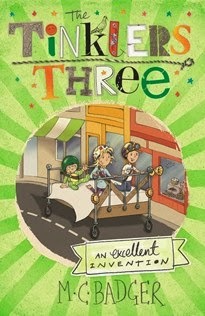 There are three books out so far in this new series.